At Horizon Global, we believe in the highest standards in terms of integrity, performance, quality and organization as we carry out our vision and mission. 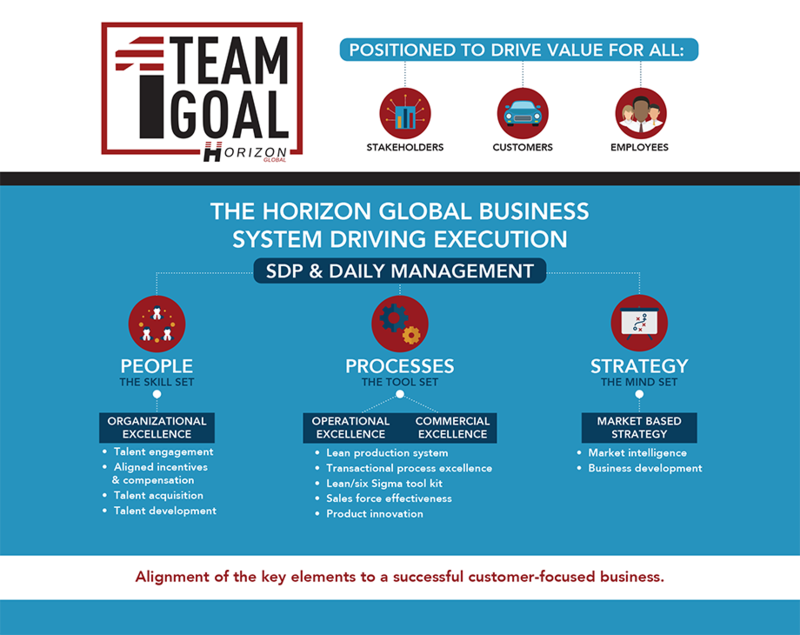 In order to accomplish our mission, we have created the Horizon Global Business System (HBS), a standard, enterprise-wide set of tools that provide a foundation for continuous improvement and innovation. It starts with The Skill Set and organizational excellence around talent acquisition, development and engagement along with aligned incentives. The Tool Set includes processes to achieve operational and commercial excellence, including lean and innovation. Finally, The Mind Set is our market-based strategy that is customer focused and drives growth to create shareholder value. All of these tools are used to create a measurable, actionable plan and establish accountability for our results.